the Kin Oncology and Wellness Clinic is honored to manage you and your families health care with state-of-the-art technology with a Family Medicine approach and treatment. The DNA blood cancer test detects very early cancer which is not detected by normal means such as X - ray. Under normal examination, cancer of 1 mm or less size cannot be detected, but it can be detected by our DNA blood cancer test. 13 carcinogenic genes and their hot spots (places susceptible to mutation) 26 are analyzed. 13 proto-oncogenes, and their hot spots (sites susceptible to mutation) 26 are analyzed. Hematopoiesis and lymph (leukemia etc.) · skin · thyroid · lung · colon · breast · stomach · esophagus · pancreas etc. Based on the results of your examination, IE: cancer detection. Patients who wish to be treated in Japan will be introduced to our cooperative medical institutions most suitable for your case. 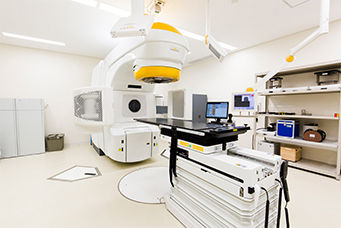 Our radiation therapy device "Novarith Tx" is equipped with the state of the art technique to irradiate cancer cells pinpoint and reduce the influence on normal tissues with high precision radiation treatment. Also, if micro cancer is discovered, there is positive therapeutic benefits by using our state-of-art immunotherapy and treatment with stem cell therapy in combination. By the latest Cancer DNA Blood Test, you can find invisible cancer cells in the body and treat minute cancer cells in the body using NK cells, CAT therapy, immunotherapy. NK cell therapy is a treatment to selectively increase only NK cells that are highly killing and attack undifferently if it is a foreign body, and to kill cancer cells. CAT therapy is a treatment to kill a cell with lymphocytes (CTL (cytotoxic T cell), mainly NK cell, NKT cell) which chose cancer cells to attack. DC therapy is different from the above thought. It is a treatment using dendritic cells, but dendritic cells themselves do not attack cancer cells. Dendritic cells are cells that serve to teach information on specific cancer cells to CTL. As a procedure, blood is collected for the purpose of extracting a large amount of monocytes which are a part of white blood cells, which is the source of dendritic cells. Culturing monocytes into dendritic cells, culturing and activating dendritic cells that have been given artificial peptides and autologous cancer tissues, and returning them to the body. Proliferate autologous stem cells, regain immunity, health, beauty. 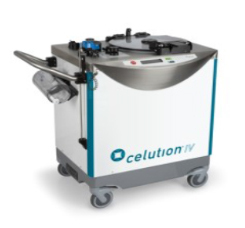 Cells beside the belly button are collected in 150cc and after 4 hour, stem cells taken from their own cells are prepared and introduced into their bodies by drip infusion. ADRCs are extracted from adipose-derived regenerative cells (stem cells) from heterogeneous cell populations. Since we use ADRCs from your own body, we can filter out and remove the extra ingredients and return it to the body in a purely refined condition. Treatment with your own cells avoids problems such as cell rejection and does not require anti-rejection or immunosuppressant's. PET-CT is a highly accurate and reliable test in identifying cancer when cancer is suspected. We believe that patients judged to be "cancer suspect" should undergo PET-CT examination and receive more accurate treatment. The dose in one PET-CT examination is 14-18 mSv. The dose from a PET-CT does not constitute any concern for health risks as the radiation exposure limits of radiation are 50 mSv in 1 year and 100 mSv in 5 years. PET-CT is a very useful examination method to accurately detect cancer onset. However, in the Preventative Medical Examination, MRI is the primary screening tool utilized. The following restrictions apply to receiving PET-CT examination. Please do not over exert yourself physically 2-3 days before your examination. ※ Intravenous injection of a radiopharmaceutical requires you to rest one hour after administration as well as remain in the radiation control area approx. 2 hours after the examination is completed. Copyright (C) kin. All rights reserved.